This post is going to be a little bit different than previous posts as I’m trying something new lately. A couple of months ago I started selling my homemade cookies locally to friends and family members. So far I have received nothing but positive feedback, so I figured it’s time to get my website updated to potentially expand my circle of clientele. The first month the cookie I listed for sale was my Witchcraft Cookie – so named because one of Jah’s coworkers said they were so delicious they must have been created by way of witchcraft. The jumbo sized cookies fit 6 to a box for $12 and were packed full of imported dark chocolate, toasted almonds, and marshmallow. 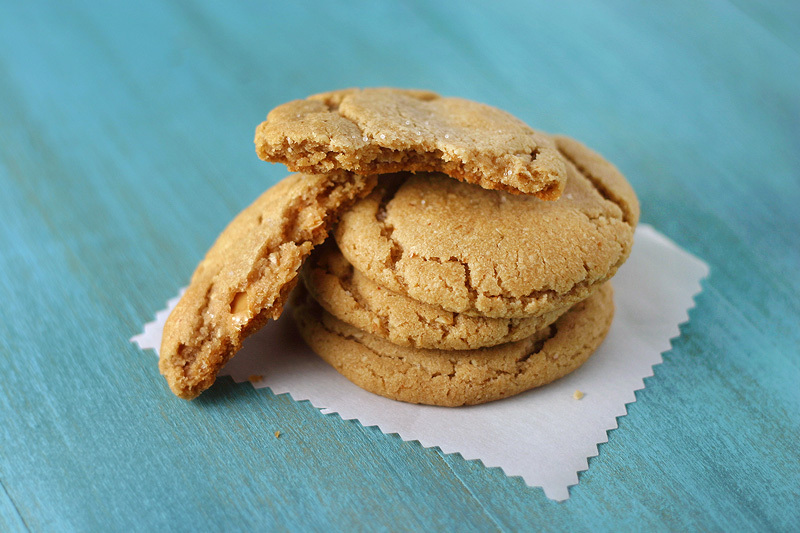 This month were my coveted Snarkydoodles – made with browned butter and a touch of ginger. These smaller sized cookies fit 12 to a box for $10. I will be presenting a new treat for sale every month to any LOCAL people that are able to pick up their cookies from me, as I currently have no means to deliver. Unfortunately shipping is not available yet either, but hopefully I will get there eventually! Once I’ve completed my move into the new house (yay!) I will begin taking orders for June’s “Milford Cookies”, which contain semisweet chocolate chips, pretzel bits, and a gooey caramel interior. All of my cookies are always baked without eggs, and unless otherwise noted will also have a vegan version available for the same price. If you find yourself in need of cookies and would like to place an order you can email me at [email protected]. Greetings, humans. This is your friendly neighborhood Gouda Monster. You may remember me from such cookie recipes as Eyeball Butter Cookies and Chocolate Cherry Oatmeal Cookies. I have been out of the public eye for a time, lurking in the shadows and sharpening my teeth, but now I have returned to you with a gift of sweetness and simplicity. For all you coconut fans – chewy coconut cookies! Chomp chomp! As is often the case in my kitchen, I find myself throwing things into a bowl with the hopes that the resulting concoction won’t be a total disaster. One afternoon I was craving cookies but I didn’t have many ingredients on hand to work with. In the back of my pantry I eyed a hermetic glass jar packed full of sweetened coconut and figured I’d roll with it. I’d never made coconut cookies before so it was going to be a fun experiment. Imagine my surprise when I had perfectly sweet, chewy cookies with a slightly crispy edge on my first attempt! The following day I made them again, doubling the recipe so that I could hand them out to friends. The reviews I received were overwhelmingly positive, someone even going so far as to say they could see the endorphins being released from their brain as they ate them. That’s the kind of response I like to hear! 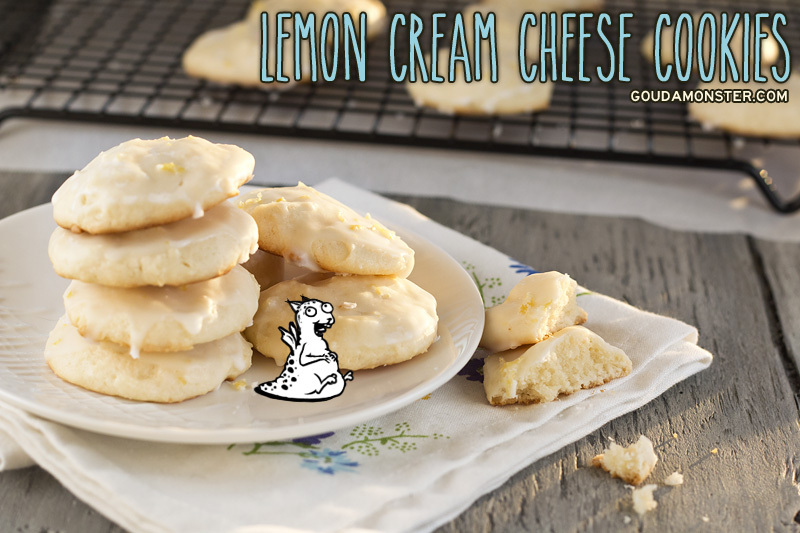 Several people asked me for the recipe so I knew these would have to make their way onto my blog, pulling me out of my lengthy hiatus. Given how quickly this recipe comes together I think it will be a hit for parties or functions where you want to impress a group with a small amount of effort. 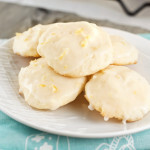 A simple to make coconut cookie with a chewy center and slightly crispy edges. Preheat oven to 350F. Line cookie sheet with parchment paper and set aside. Cream together butter and sugars until lighter in color. Add extracts and egg replacer (or egg) and beat for about 30 seconds. Stir in coconut. In a separate bowl whisk together flour, baking soda, and kosher salt. Add to the coconut mixtures in thirds, combining well after each addition. Using a melon baller or small cookie scoop, scoop out rounded balls of dough and place about 2 inches apart on parchment lined sheet. Bake for 17-19 minutes, or until the edges of the cookies just start to brown. Remove from oven and immediately sprinkle with fleur de sel if desired. Allow cookies to sit for 10 minutes before transferring to a rack to cool completely. 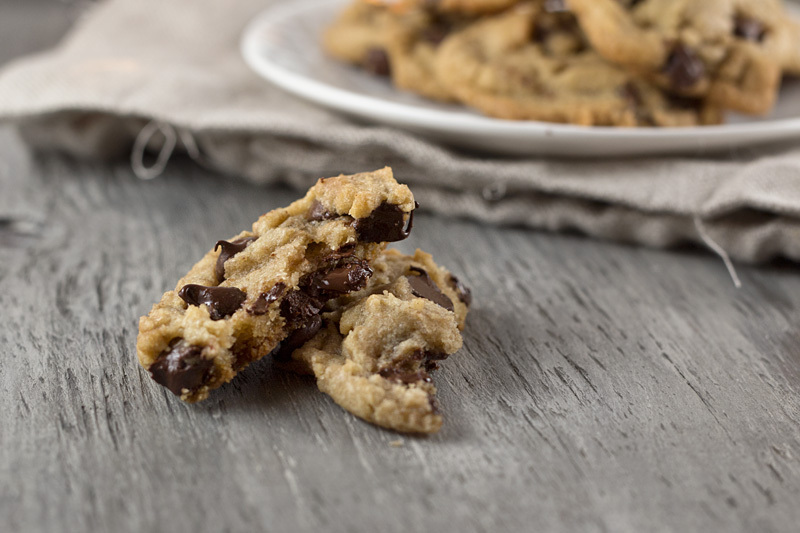 For an extra decadent treat, drizzle or dip each cookie with tempered dark chocolate. 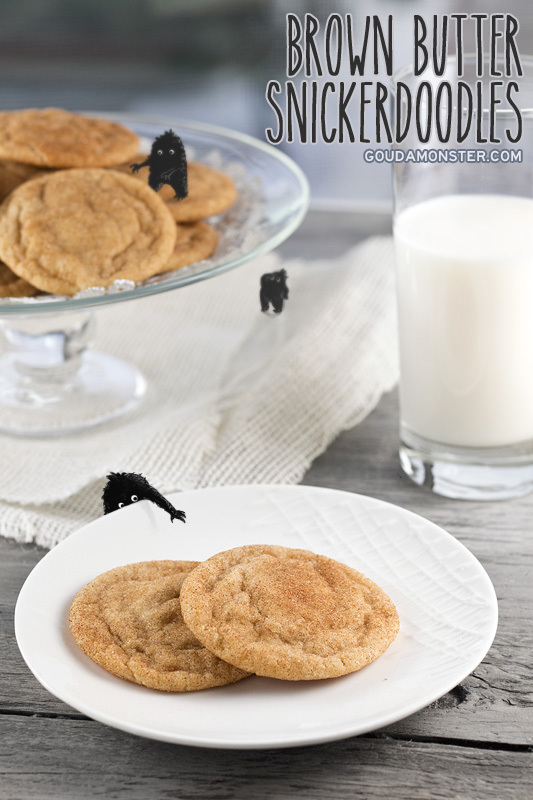 Next in line for my series of Christmas cookie posts is the ever adored snickerdoodle. 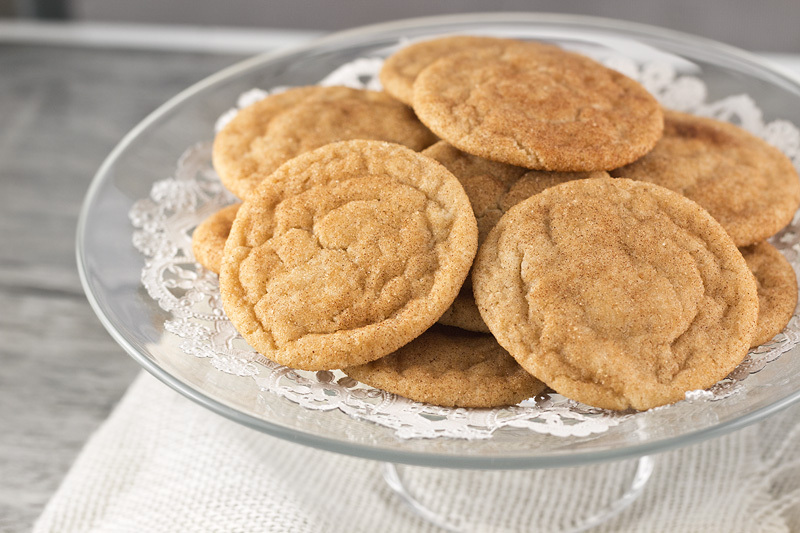 For the longest time I had no idea what a snickerdoodle was, and when I learned they were cookies rolled in cinnamon sugar I was a bit confused. Where were the peanuts and nougat and caramel? This ain’t no Snickers! Then the realization slowly settled in that snickerdoodle cookies had absolutely nothing to do with Snickers candy bars. I’m pretty sure I can’t be the first person to make that mistake, so I don’t feel too bad about it. What I DO feel bad about is the fact that it took so long for them to find their way into my life. For this recipe I’ve given it a few small tweaks to enhance an already good thing. I brown half of the butter and I use just a touch of ground ginger in the cinnamon sugar mixture. The final thing that contributes to making this cookie a little different from your standard snickerdoodle recipe is the use of bread flour for its higher protein content. 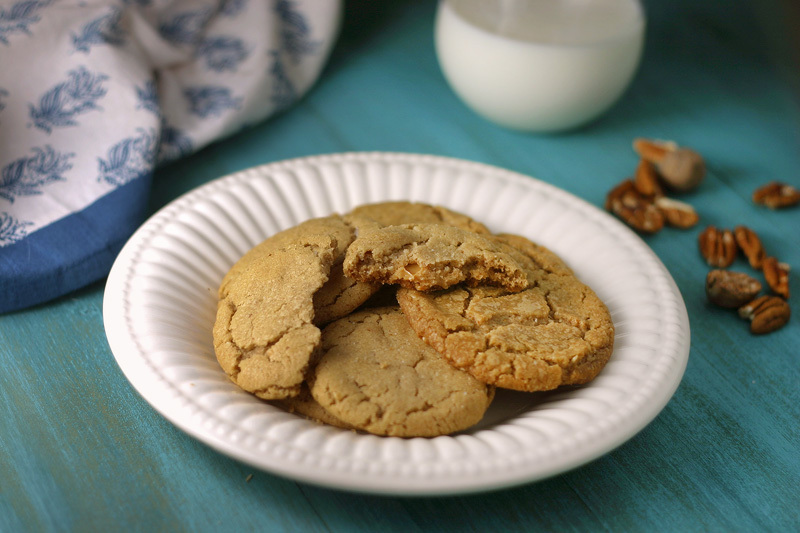 The end result is a soft, chewy snickerdoodle with the rich underlying flavor of brown butter that plays nicely with the sugar spice blend. 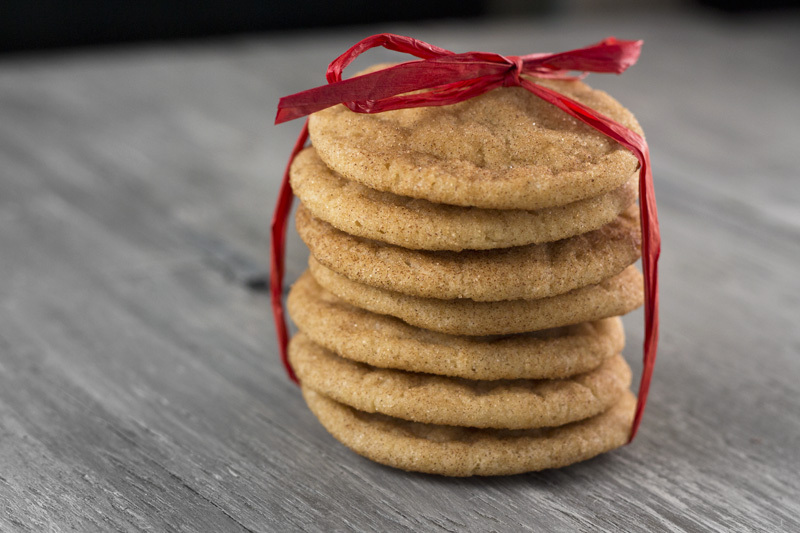 Soft, chewy snickerdoodles with brown butter and a hint of ginger. Preheat oven to 325F. Line a cookie sheet with parchment paper and set aside. Melt butter in a saucepan over medium heat. The butter will begin to foam and eventually subside. Whisk regularly until the butter turns a rich amber color and releases a nutty aroma. Transfer to another container and allow to cool. In a stand mixer combine cooled brown butter, softened butter, white sugar, and brown sugar. Cream together until light and fluffy. Add vanilla and egg replacer (or eggs) and mix until well incorporated. In a separate bowl whisk together both flours, cream of tartar, baking soda, salt, and 1/2 teaspoon of cinnamon. Working in batches, add 1/3 of the flour mixture at a time to the wet ingredients. Mix until just incorporated before adding the next third. Repeat with remaining flour. The dough should hold together if you squeeze it between your fingers. If it seems too crumbly, add another 1-2 tablespoons of water. In a small bowl mix the 2 tablespoons of white sugar with the ground cinnamon and ginger. Using a small scoop or a heaping tablespoon, scoop out a ball of dough. Roll it together in your hands to round it out, then coat it in the cinnamon sugar mixture. Transfer to parchment lined sheet allowing about 2 inches between each cookies. Bake for 11 minutes. The cookies might seem just slightly underdone but they will continue to cook as they sit on the counter. Let sit for at least 5 minutes before transferring to a wire rack to cool completely. I have had my blog running long enough now that it’s finally time to do this. 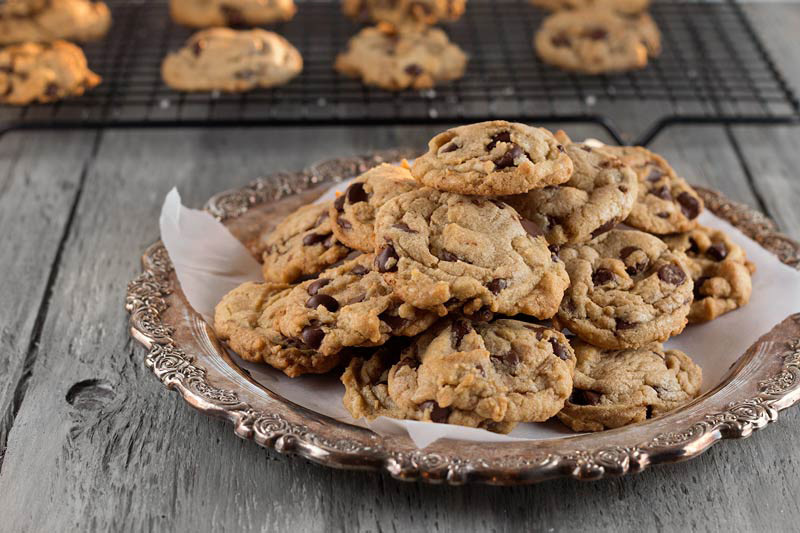 Yessiree – it is time for the good ol’ classic chocolate chip cookie recipe. The characteristics of the ideal CCC vary from person to person, so there is no real way to determine the best recipe in the cookiverse. What I can tell you is that this is MY favorite chocolate chip cookie recipe. I’ve done the New York Times’ version and although they were fantastic, the 24 hour wait time is too much for my impatient taste buds. Once I smell butter and sugar creaming together in the bowl I gotta have the cookies in my belly yesterday. 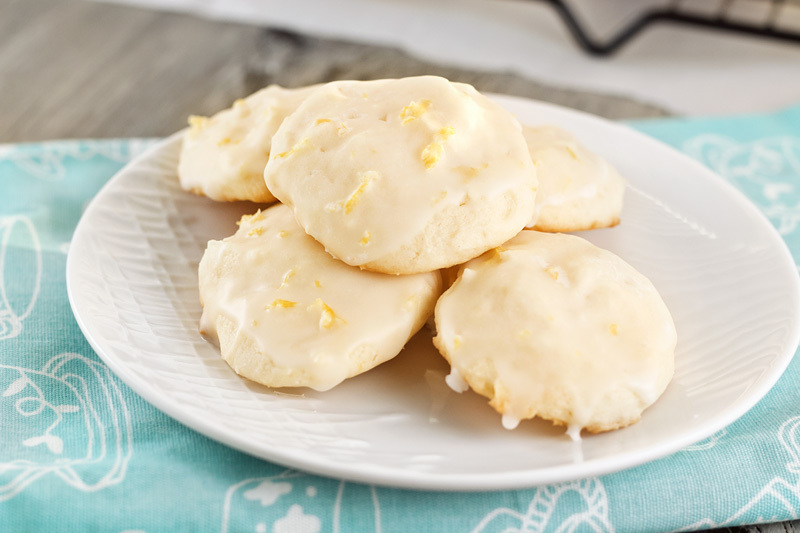 This enhanced version of the original CCC recipe from Ruth Wakefield’s Toll House cookbook was dreamed up by Laura aka The Cooking Photographer. Almost 4 years ago I left a comment on her blog revering her as the ultimate CCC goddess, and I stand by that statement. I. LOVE. THESE. COOKIES. A couple of things set this recipe apart. A few extra steps that take just a little more effort but have a huge payoff in the end. First off there is the browned butter, which as any sane person will tell you makes just about anything 10x better. Laura also uses ground up oatmeal in place of some of the flour, which makes these cookies extra chewy and flavorful. The tiniest amount of vinegar helps keep them tender, and you’ll never know it was in there if someone didn’t tell you. She uses walnuts in her recipe but I’m partial to pecans, so that’s what I’ve used in mine. 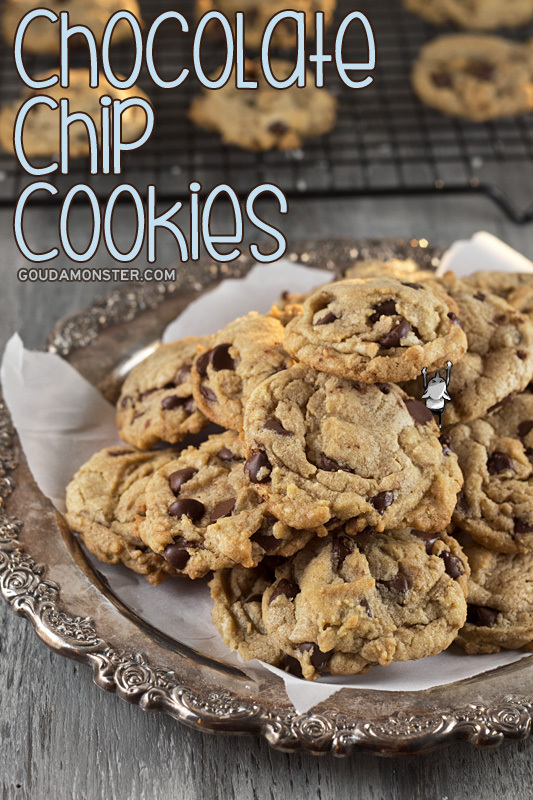 All of these things work together to create an absolutely heavenly chocolate chip cookie, and I’m excited to finally share it here. My favorite chocolate chip cookie recipe, made with brown butter and toasted pecans. In a nonstick skillet, melt 1 stick of the butter over medium heat until foamy and lightly golden brown. Pour into a bowl and wipe out the skillet. Place butter in the refrigerator and cool to about room temperature. In the skillet over medium heat, toast the oatmeal stirring often until fragrant and some of the oatmeal is light golden in color. About 3 minutes. Transfer the oatmeal to a food processer and grind until fine and powdery. Set aside. Toast the pecans in the same skillet that you toasted the oatmeal in. Let cool slightly and chop to desired size. Mix in a stand mixer the softened butter, browned butter, brown sugar, granulated sugar, salt, vanilla extract, and vinegar and beat on slow to combine, and then on high speed until fluffy and lighter in color. Add the egg replacer (or eggs) and mix until combined. Add the oatmeal and baking soda and beat for another minute. Next, add the flour half at a time and mix on low speed just until incorporated. Gently fold in the chocolate chips and toasted pecans. 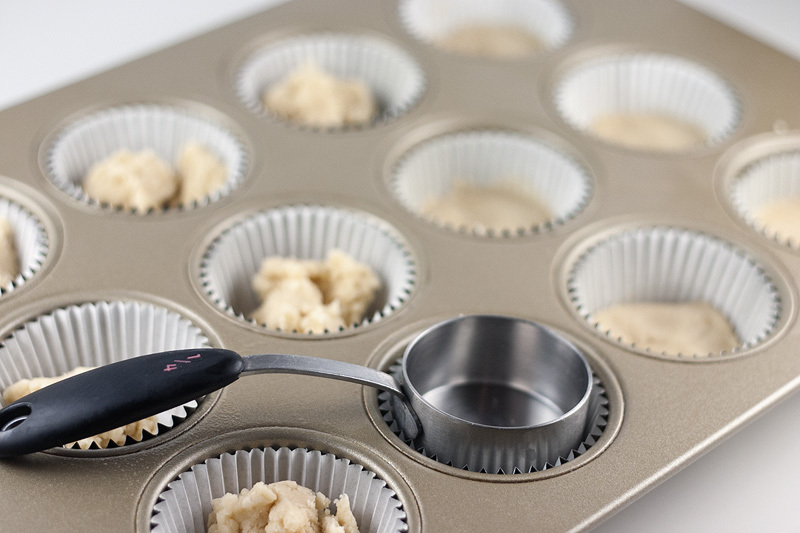 With a size 50 cookie scoop or a generous tablespoon, drop the dough onto parchment paper 3 inches apart. Bake for 11 minutes or until golden around the edges. Remove from oven and let set on the cookie sheet for 3 minutes before moving to a cooling rack. If omitting nuts, add 1/3 cup more flour to the batter and the whole bag of chocolate chips. These cookies freeze extremely well after they’re baked. You can take a few out at a time and microwave them. Or just let them thaw on the counter. Halloween is always a great time to be creative in the kitchen. What other time of year can you make foods to look like witch fingers and brains without anyone batting an eye? I gotta say that the idea of eating a litter box cake still makes me cringe though. Hey, we all have our limits. When I set out to make a Halloween themed post I had lots of ideas rolling around in my head. After settling on doing a cookie, I knew that I wanted to make one that had a fun, holiday-appropriate look, while still being easy to accomplish. 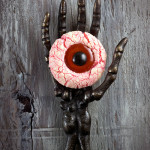 The subject of choice – eyeballs. 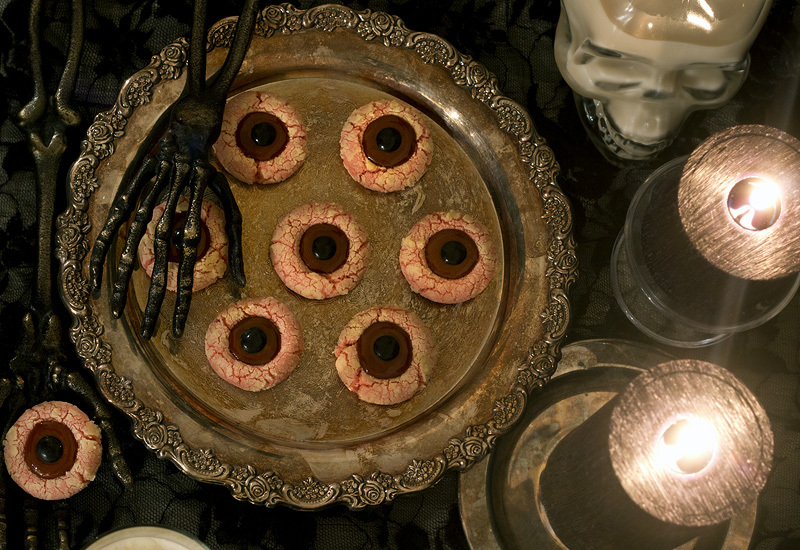 A lot of the eyeball cookies I’ve seen involve breaking out the icing bags and tips for piping work. Another option involved using Lifesaver candies for the iris. These are both great in their own way, but I wanted to make a cookie that looked the part and was easy to do without sacrificing taste (I like Lifesavers just fine but I don’t really want to bite into one while eating a cookie). And by golly I feel like I’ve done it! 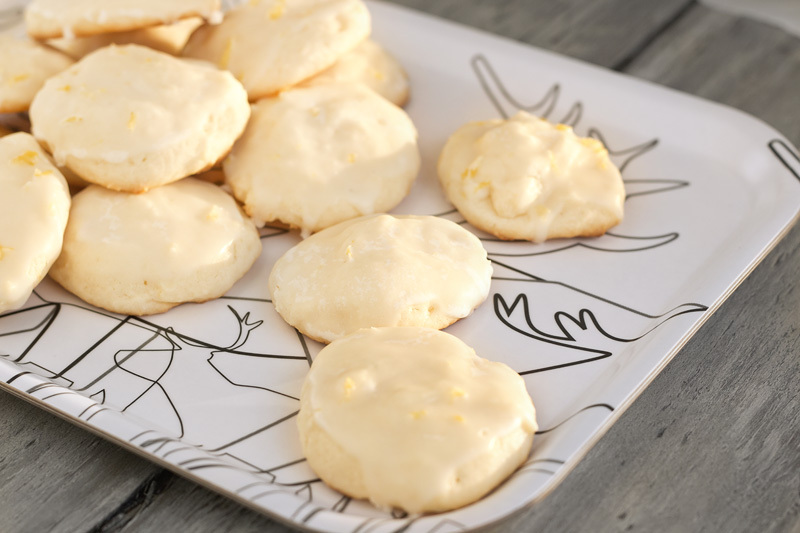 The base is a very simple vanilla butter cookie that comes together ridiculously fast. I think I would compare the flavor and texture to a cross between a shortbread and a sugar cookie. You can prepare them one of two ways – clear or bloodshot. The clear eyes are rolled in white sugar before baking, while the bloodshot dough gets tinted pink first and is rolled in powdered sugar. Once removed from the oven they are finished off with a small dollop of dulce de leche and a black M&M for the pupil. In the end the powdered sugar cookies were slightly favored between the two, because in the oven it takes on a creamy, almost melty texture on the outside. If you’re familiar with the Argentinian sandwich cookies alfajors – they remind me a little bit of that, but with a kiss of chocolate in the middle. Aww yiss. For the pupils I used a black M&M candy… except it was actually a knock-off M&M from Party City. At first I tried using a dark chocolate chip with the flat side up, but given how dark my dulce de leche was it didn’t provide the contrast I was looking for. If you have a lighter caramel sauce that you’re using you might be able to get by with chocolate chips, brown M&Ms, brown Reeses Pieces, or whatever easily available candy you have access to. While at Party City I also noticed they sold mini packets of black Sixlets for 7 cents each. Pick up a few of those and you’re good to go, and it will be cheaper than buying a bag of the black M&M style candies. I prefer the taste of M&Ms over Sixlets though, so I was willing to shell out a couple of dollars for them. 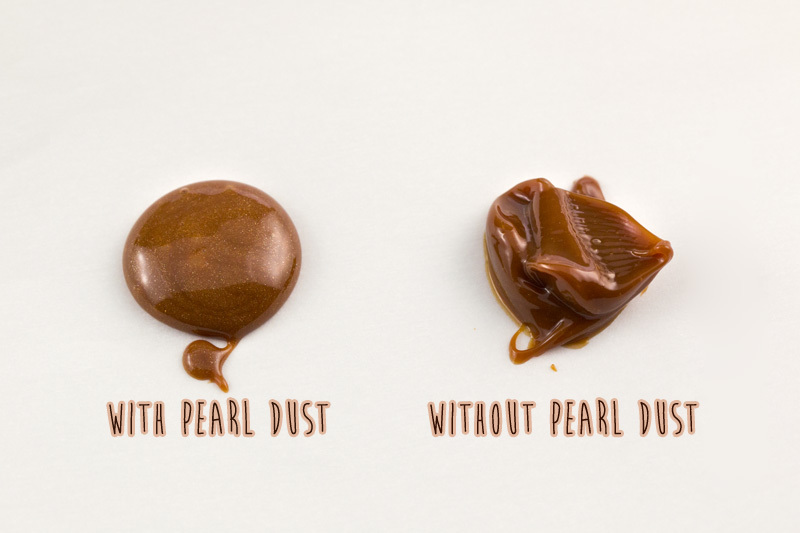 Another optional step I took was mixing my dulce de leche with a little bit of edible pearl dust . Because my dulce de leche was so dark, I wanted to try and lighten it a tad. The pearl dust also gave it a really pretty extra level of dimension and a consistency that was a nicer to work with. I took a picture to show the two side-by-side. I think almost all of the steps in this recipe are suitable for little helping hands. One part that should remain an adult responsibility is creating the indentations for holding your caramel. Unlike most thumbprint style cookies, you’re not going to create the cavity before baking. 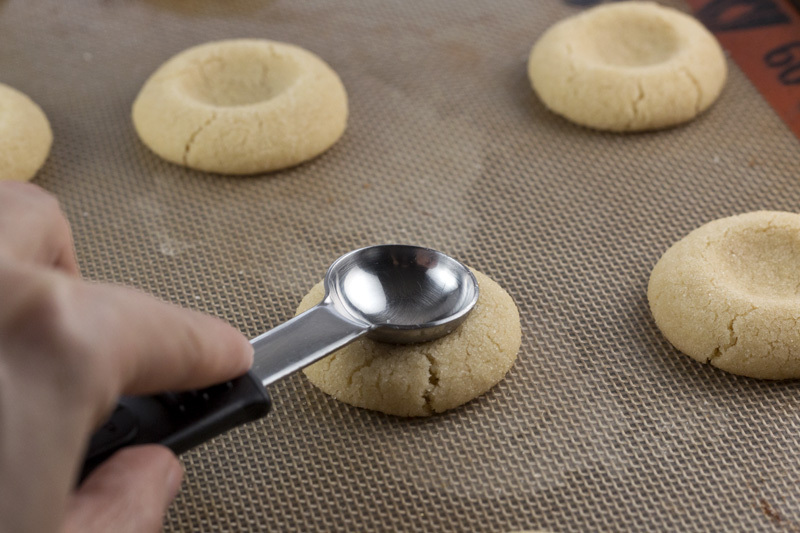 While the cookies are still warm from the oven, gently press the back of a teaspoon (or whatever else you have around for the job) into each one. It will flatten out slightly and get a few cracks around the edges. Don’t fret over the cracks- that’s what produces the nifty vein effect in the eyes, particularly with the blood shot variation. 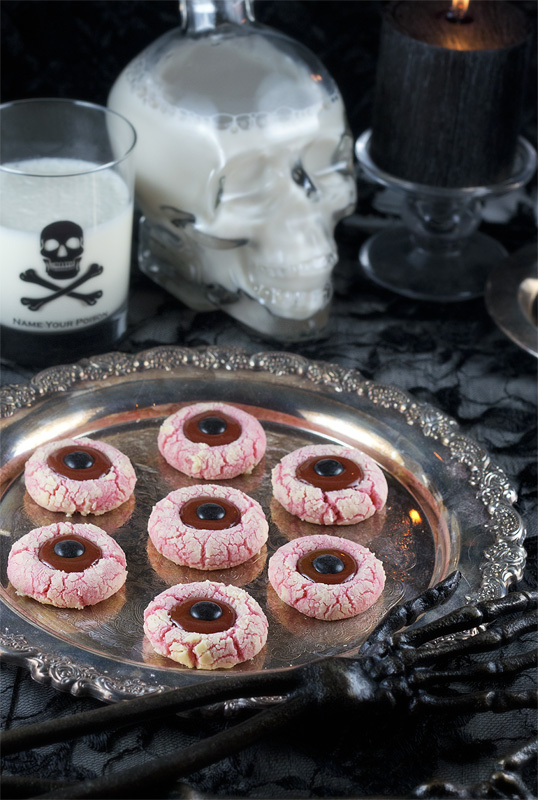 If you’ve got an upcoming Halloween party and you want to bring an easy themed dessert, these cookies might be just what you’re looking for. Depending on the size of your balls (HA!) you will get about 3 dozen cookies from the batch. I would say it’s feasible to get all 3 dozen finished in about an hour, so they would work well as a last minute treat too. And you know, what’s with all of the eyeball cookies being blue and green? It’s time to get some brown-eyed love up in hurr! 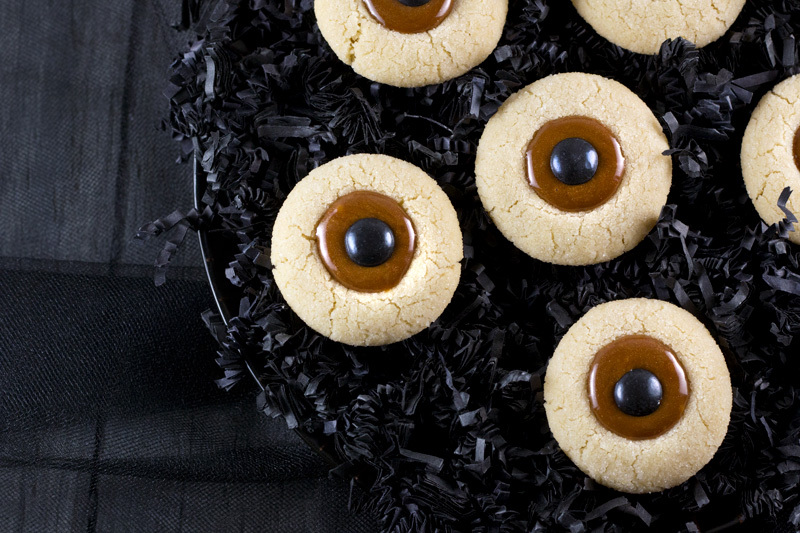 A simple, soft vanilla cookie with dulce de leche makes an easy Halloween themed dessert. Cream butter, sugars, salt, and vanilla until light and fluffy. Mix in flour 1/2 cup at a time until well combined. If doing the bloodshot styled eyes, mix in your food coloring, otherwise skip this step. I would also recommend adding a small amount of red color to the caramel for the bloodshot eyes as well. Measure out small amounts of dough (I used a melon baller to ensure they were consistent in size) and roll into roughly 1″ balls. Put granulated or powdered sugar (powdered sugar is necessary for the bloodshot eye effect) in a small ziplock baggy. Coat each dough ball with sugar and transfer to baking sheet, leaving a couple of inches between each one – I was able to fit one dozen on a sheet. If using powdered sugar make sure to be very generous with the coating. When you think you have enough do a little bit more. Skimping on the sugar will result in a cookie that is more an all over pink rather than contrasting white and pink. Place cookie sheet in oven and bake for 11-15 minutes. 11-12 minutes will give you a soft cookie whereas 14-15 minutes will give you a crunchy cookie. Remove cookies from oven and while still hot, immediately press the back of a teaspoon into each one to create a small cavity for your caramel. Put a small amount (about 1/4 teaspoon) of caramel in the center of each cookie. I find that doing this while the cookie is warm makes it easier. The warmth softens the caramel and let’s it fill out the edges and get smooth on top with almost no effort. Place one black candy in the center of each cookie. Transfer cookies to cooling rack to cool completely. 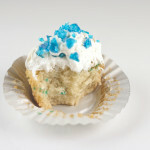 Like eleventy billion other people this weekend, I am super psyched up about the upcoming Breaking Bad finale. We are going to have a small viewing party over at my brother’s place on Sunday night and I thought I would make something special to bring along. Unfortunately I have been on a two week plan to not eat processed sugar for 14 days… and Sunday is the 14th day. There is no way I would ever show up with food that I didn’t taste first (strictly for quality control purposes of course! ), so I ate a mere one quarter of a cupcake. It was certainly one of the most intense exercises in willpower that I’ve ever experienced! Those couple of bites were worth it too. Vanilla is a very simple flavor and these cupcakes are vanilla through and through, but with a couple of fun elements to set them apart. 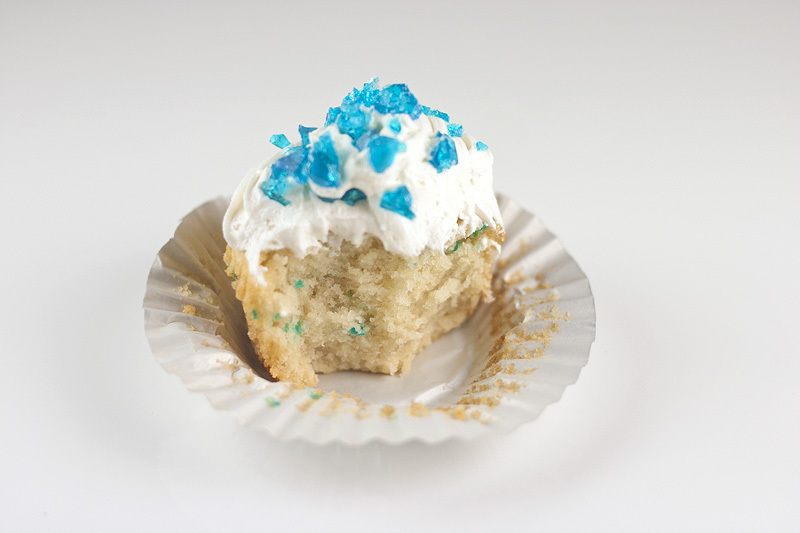 They are baked on top of a sugar cookie crust, the pale batter is flecked with bits of blue, and there is a hint of amaretto in the fluffy buttercream frosting. 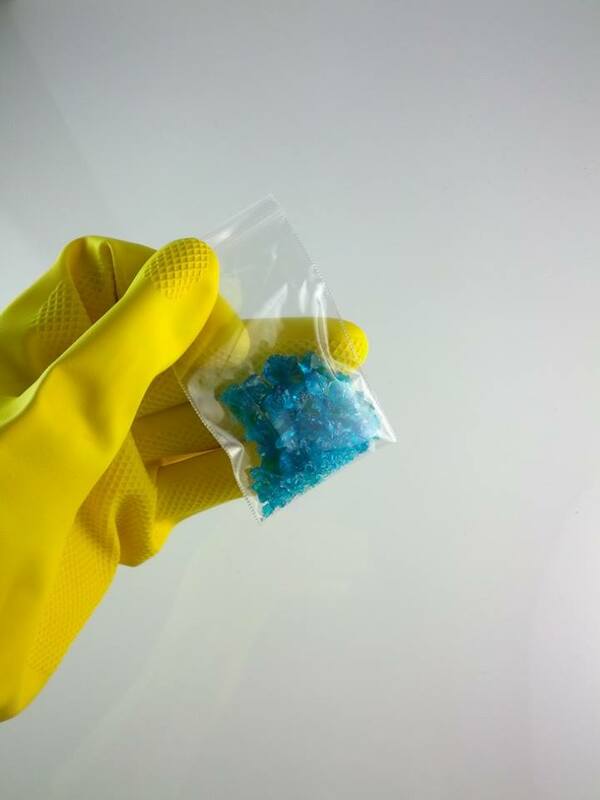 But of course the real show stopper is definitely the “blue meth” sugar glass on top. First off you’ll want to make the sugar glass because it needs some time to chill. 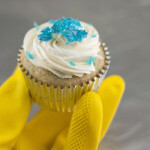 To make these cupcakes a lot simpler you could always use a box mix and prepared frosting, but the blue meth crystals are pretty iconic and will make your cupcakes unique. And you don’t have to do blue! Halloween is coming up and maybe you want to stab clear glass shards into your cake with red sauce oozing out of the middle. Heat resistant silicone molds could probably give you a lot of interesting ideas as well – pretty crystalline flowers, leaves, or butterflies. Making the glass is actually quite simple, but hot sugar is very dangerous to work with so take care when doing so. It’s not the sort of thing you want to be working on if you have little ones tugging on your pants near the stove. The process is pretty straight forward. Combine all of the ingredients (except the coloring) to your pot, whisk until the sugar dissolves, attach a candy thermometer, and wait for two different temperature points. At 250F-260F you will add in your coloring but you won’t stir it; the boiling process will mix it for you. At 300F it should be ready to come off the heat. Test the sugar by putting a drop in a bowl of ice water. If it hardens and crackles a bit then you should be good to go. Pop the sugar off the heat and let it sit to release as many bubbles as possible before slowly pouring into a foil-lined pan lubed up with a little cooking spray. It will chill in the fridge for about an hour before you can take it out and SMASH IT WITH A HAMMER! I made two batches because I was overly cautious when adding color the first time around. You can be somewhat generous with the color you choose. The way it looks in the pot is much darker than it will be when it’s spread out on the foil, which is a little bit darker than it appears once broken up into tiny pieces. The first time I dipped a toothpick into my color to swirl through the sugar, and I ended up with glass that was significantly more transparent and slightly aquamarine in hue. The slight greenish cast actually seems to be more accurate when compared to what you see in the show, but I was also trying to match the blue that I used within the cupcakes themselves. So the second time I dipped the end of a butter knife into the gel and put a tiny knob into the sugar. I immediately worried that I had gone too far but once everything was broken apart it looked excellent. 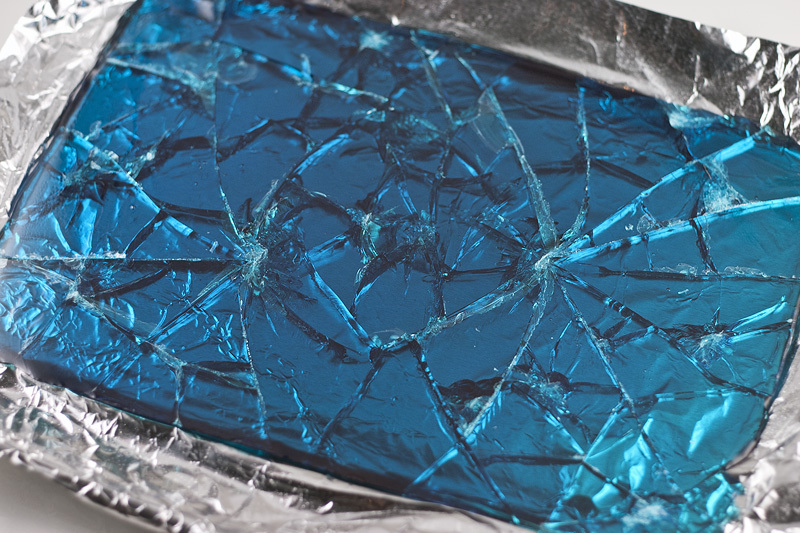 I think Heisenberg would be cool with it. 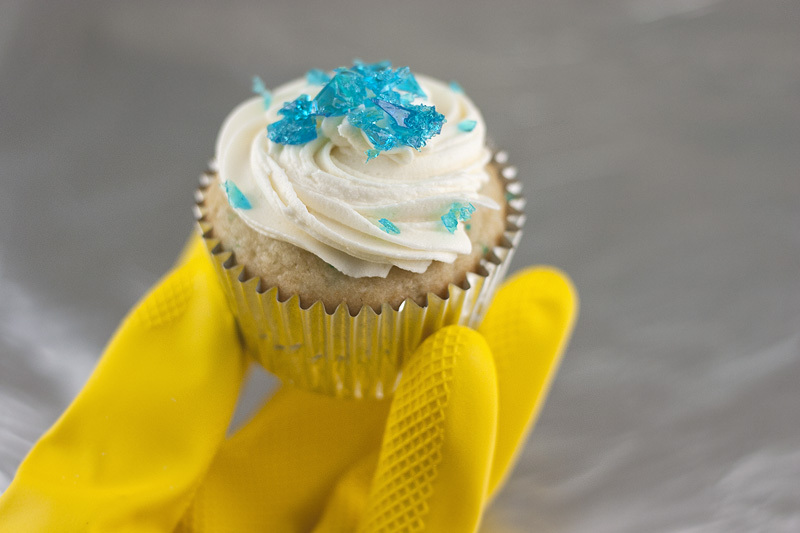 While the glass chills you can get to work on your cupcakes. 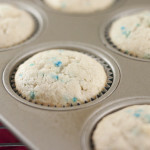 Since these have a sugar cookie base you will want to prep the sugar dough, press it into the cupcake liners, and par-bake them before filling them with your cake batter. I used about a tablespoon of dough in each cup, compressing it with the flat end of a 1/4 measuring cup. There is enough crust for a dozen cupcakes and because the cookie takes up a portion of the space in each cup, you will end up with a little cake batter leftover. I had enough to bake 4 more cupcakes without cookie bottoms. Take care when working with hot sugar! Line a baking pan (one with an edge so no syrup spills over the side) with foil and spritz with a little cooking spray. Set aside. Combine sugar, water, and corn syrup in saucepan over medium heat, whisking until the sugar is dissolved. 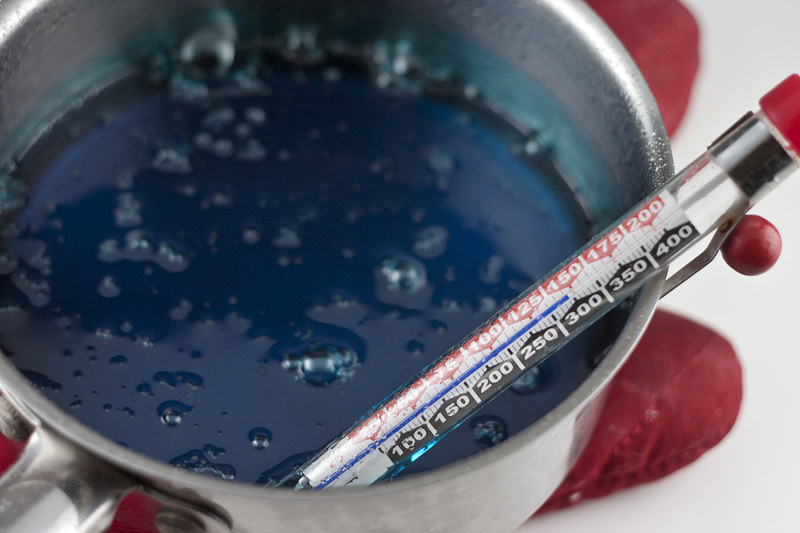 Add candy thermometer to your pot and bring the sugar to a boil without stirring. When it reaches 260F add your coloring, but again do not stir. Let the syrup continue to cook until it reaches 300F. I found this process to take anywhere from 30-45 minutes and that I didn’t need to stand watch over it constantly. When a drop of the syrup hardens and pops in a bowl of ice water you know it’s ready. Remove from heat and allow it to rest a few minutes while the remaining air bubbles work their way out. Slowly (and carefully!) pour the syrup into your prepared pan and transfer to the refrigerator to chill for at least an hour. Once completely cooled and hardened you can pull the entire sheet out of the pan by the edges of the foil and move it to a durable surface. Place a sheet of parchment paper over the top and whack it with a hammer a few times. 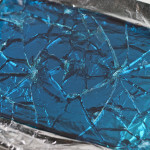 Make the shards as big or as small as you like. A tasty sugar cookie base with no leavening, so it stays nice and flat in the liners. Drop a rounded tablespoon of the prepared dough into each liner. Gently press the dough down with the bottom of a glass or a 1/4 measuring cup as I’ve done. Your fingers could do the trick as well. Bake for about 10 minutes until just set but not yet browning on the edges. Pale, sweet, and moist – a tasty vanilla cake that is made without eggs. In stand mixer combine sugar, flour, starch, baking powder, baking soda, and salt. Add in butter and mix on medium-low speed for three minutes. Because there is so little butter, you’ll end up with a very fine crumb texture. In a small mixing bowl, whisk together egg replacer, sour cream, oil, milk, and vanilla extract until smooth. Add this mixture to the flour and beat until just combined. Fold in a a few tablespoons of your colored batter bits if you decide to use them. 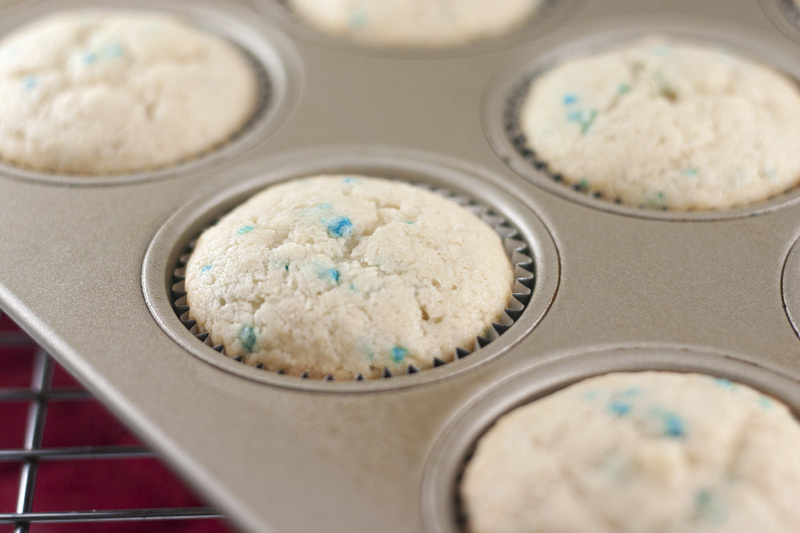 Fill cupcake liners about 3/4 full and bake for 16-18 minutes or until a toothpick inserted comes out clean. Remove from oven and immediately transfer to cooking racks. 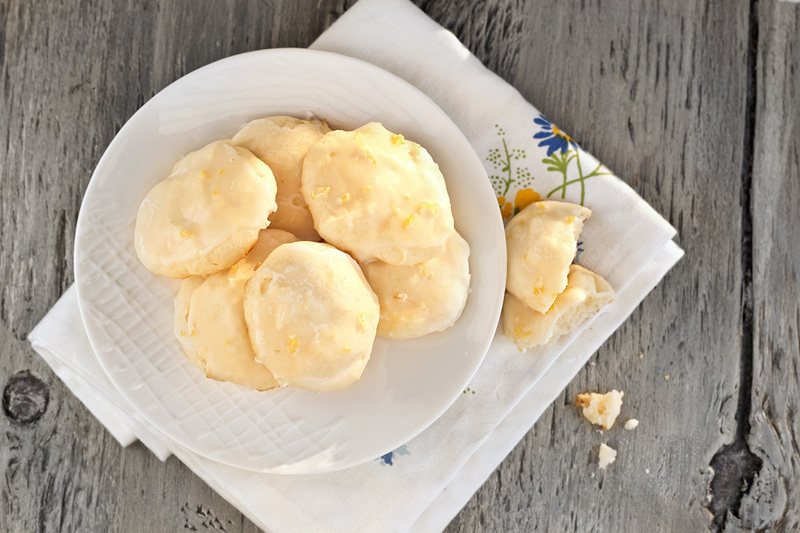 A light, fluffy buttercream that comes together in minutes. Add vanilla, liqueur and cream and continue to beat on medium speed for 1 minute more, adding more cream if needed for spreading consistency. Every weekend I allow myself one major “cheat dessert” outside of my usual attempts at healthy eating. Sometimes I like to go out and get a dessert from a nice restaurant, but other times I’m in the mood for something specific enough that it can’t be found anywhere. In this case I was craving dulce de leche, cinnamon, and chocolate. The idea was to craft a spice cookie with a gooey caramel center and drizzle it with chocolate. In the end I opted for a brown butter chocolate chip cookie style dough instead of my original idea of using a sugar cookie style dough. When I tried these out of the oven I knew they were good enough as is and that the chocolate drizzle wasn’t necessary… and let me tell you that if there is something that I say doesn’t benefit from the addition of chocolate, it must be amaaaaazing. These cookies are warm and chewy, nutty and buttery, sweet and salty, and many other combinations of awesome. I made my dulce de leche from scratch using the oven method, but using a jar purchased from the grocery store would be fine. Just make these cookies! 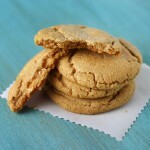 Rich, chewy, spicy brown butter cookies filled with dulce de leche. In a food processor add the rolled oats and pecans. Process until it has the texture of a coarse meal. Whisk together the flour, oat & pecan mixture, baking soda, cinnamon, nutmeg, and salt in a bowl and set aside. With an electric mixer, cream together the browned butter and sugars until lighter in color. Beat in the egg replacer, vanilla, and yogurt until combined. Add the dry ingredients in thirds, beating slowly until combined. Take a slightly heaping tablespoon of cookie dough and flatten it in your palm. Add ¼-½ a teaspoon – I used a heaping quarter teaspoon – of the dulce de leche (it’s chilled so that it’s easier to work with) to the center of the dough and carefully seal the edges around it. Place the ball onto a parchment lined sheet. Repeat until all dough is exhausted and transfer the unbaked cookies to your freezer for about 20 minutes. Preheat the oven to 350 degrees F. Place dough balls on cookie sheet, 2 inches apart. Keep the remaining dough balls chilled while this batch bakes for 11-13 minutes. Let cool on the sheet for 5 minutes (they will be very soft right out of the oven) before transferring to a wire rack to let cool completely. Sprinkle with salt while still slightly warm.